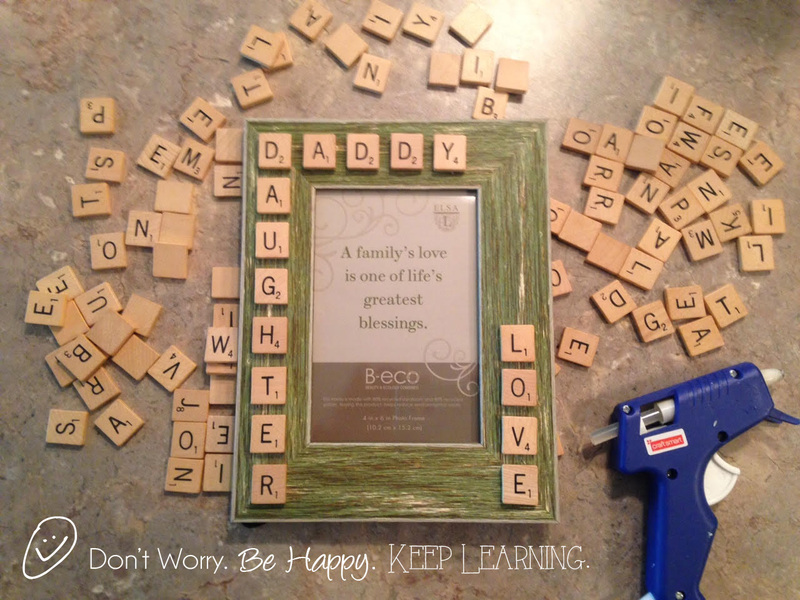 Make a unique Father's Day gift. Need an easy Father's Day gift and feeling crafty? 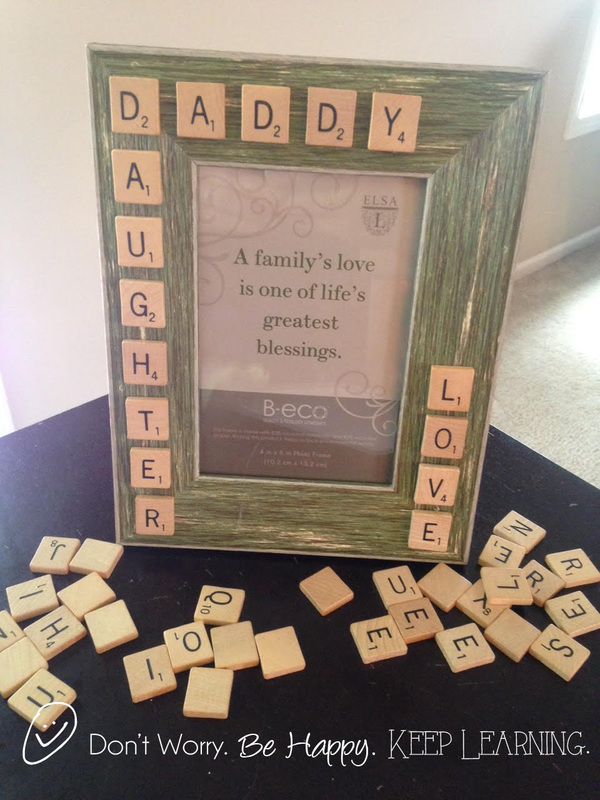 Do some diggin in your old Scrabble game (come on, you don't play it anymore, do you?) or get to Goodwill or some community garage sales, fast! Overall the project cost less than $7. Now that's my kind of craft! I used tiles from a Scrabble game that my mom found at a garage sale for a dollar. I made a trip to the store for a nice picture frame ($6) and busted out my glue gun. I put down a couple simple dots of glue in a straight line and applied the tiles. 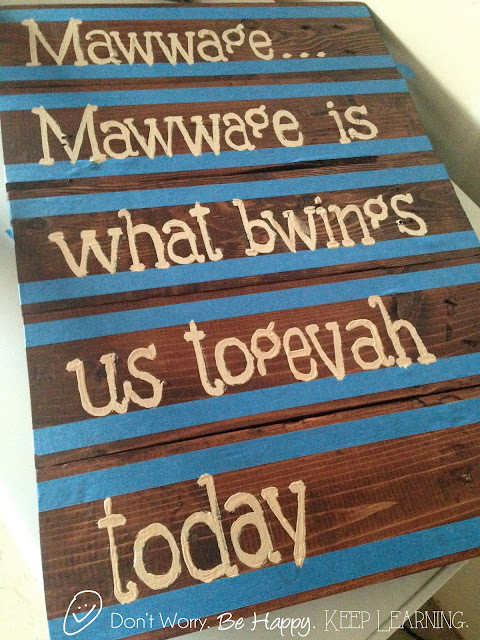 This craft literally took me 10 minutes to construct, but I absolutely love how it turned out. I had a photo of Mike & Caraline printed for this and can't wait to give it to him for Father's Day. It'll be a special frame just for pictures of the two of them for years and years. 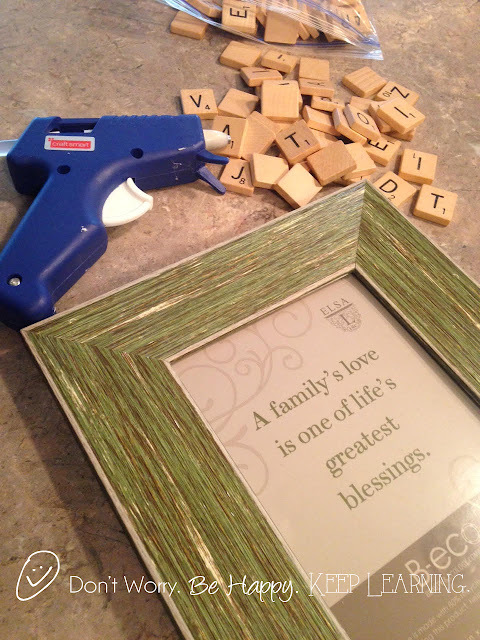 I encourage you to do this craft yourself. It's really very easy and it'll be something you can be proud of. That's better than any store-bought gift you can find. at 5:00 AM 0 Comments Topics: Blog., Crafts., DIY. 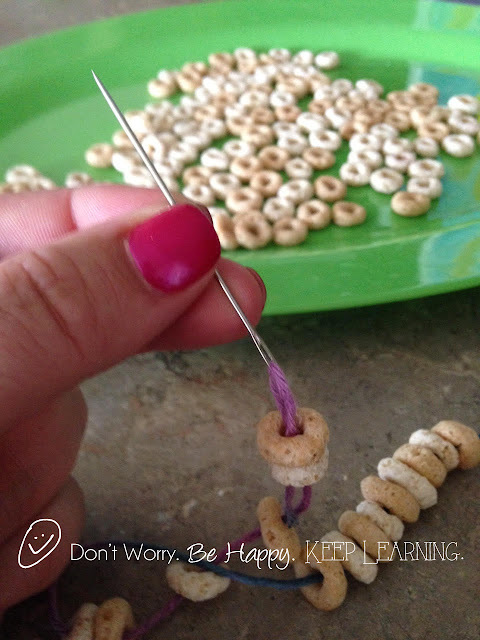 My daughter loves Cheerios (uhhh flavored oat cereal? 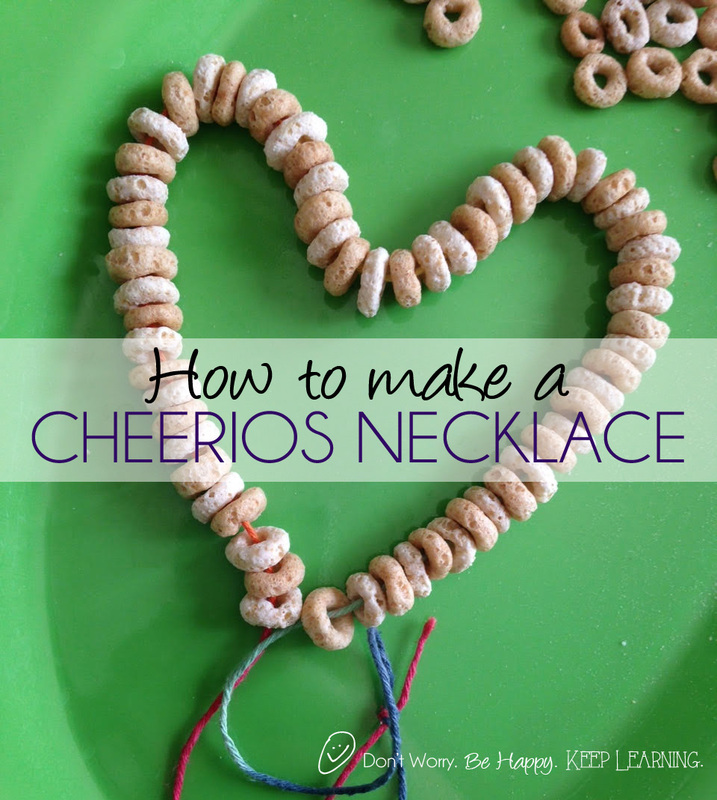 Eh, I'll just say Cheerios) She also loves "pretties" aka necklaces. 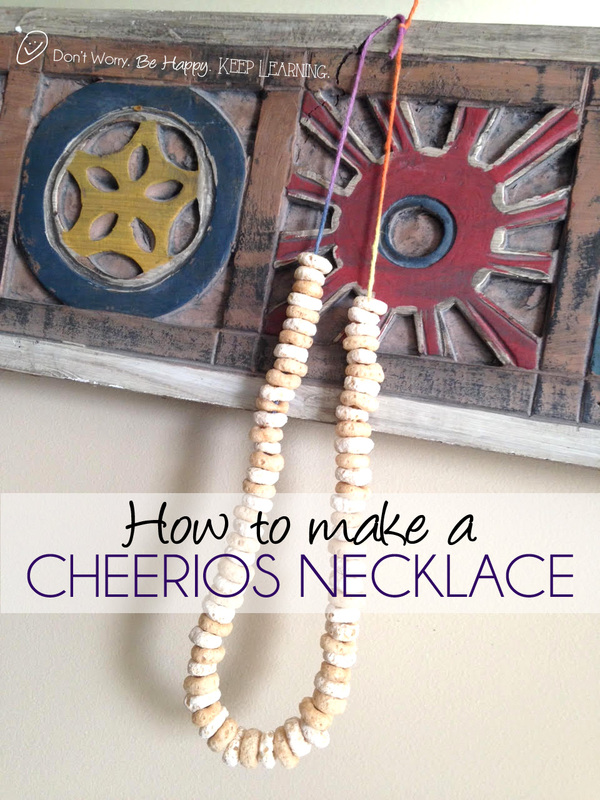 I had this brilliant idea to make her a necklace of Cheerios to keep her busy and for snacking. 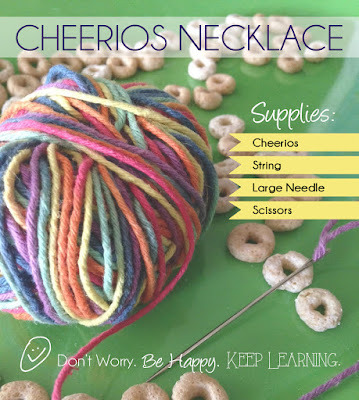 I had all the supplies on hand: Cheerios (you could use any flavor), string, a large needle and scissors. I threaded enough Cheerios to make a large necklace to fit her (age 1) and I alternated Frosted Cheerios and regular Cheerios. From beginning to end it took me about 20 minutes. I found it most efficient to stack a half dozen or so at a time and then slide them onto the string. I tried it on her and she really liked it. In hindsight, I'd let her snack on this OUTside since I ended up with about 25 halves of Cheerios on our carpet, but it's okay. Whatever makes her happy! 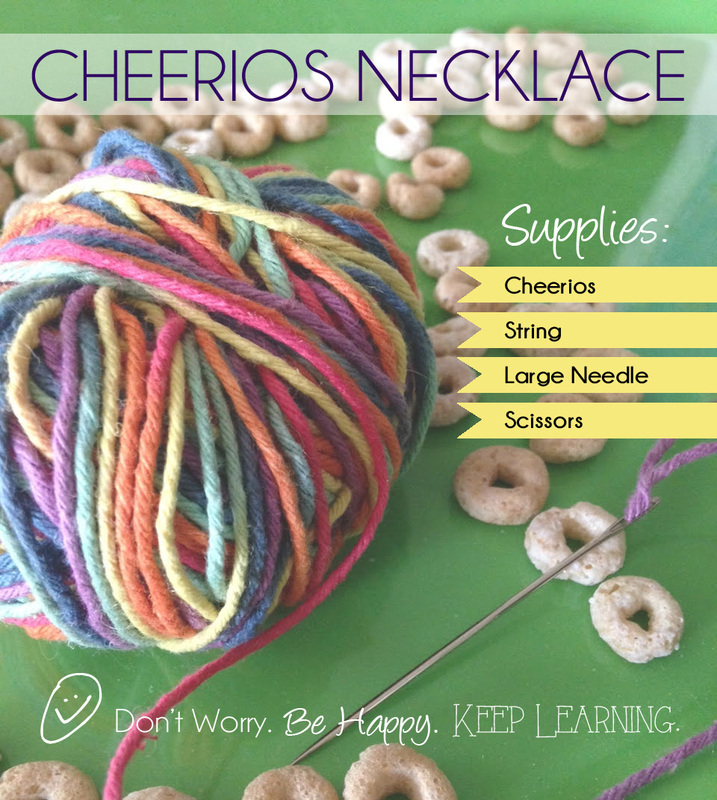 Cheerios necklace is Caraline approved! 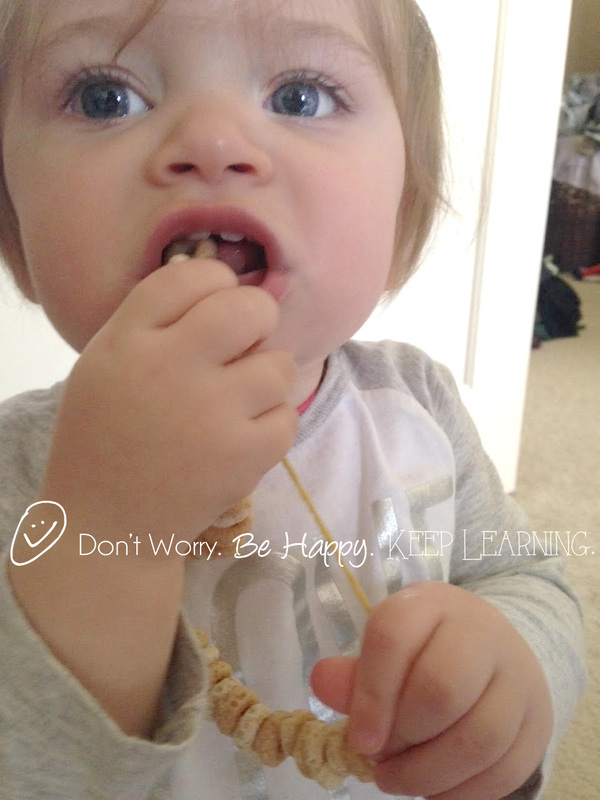 at 4:57 PM 3 Comments Topics: Baby Deak., Blog., Crafts., Recipes. 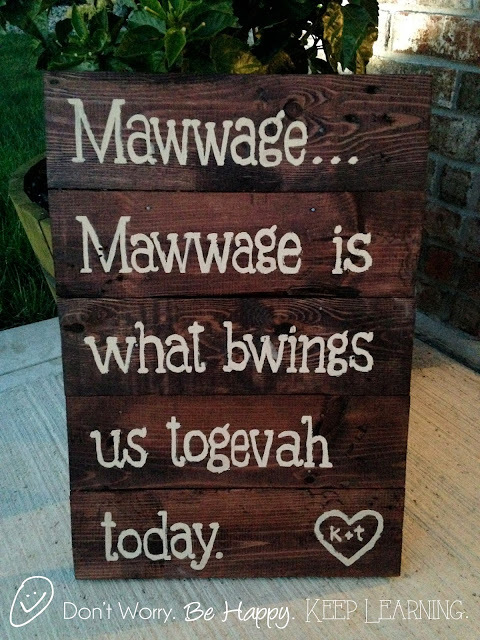 My good friend recently got married and asked me to make her a sign for their reception. She's a huge Princess Bride fan and loved this quote by the Impressive Clergyman. It was really quite simple to make. 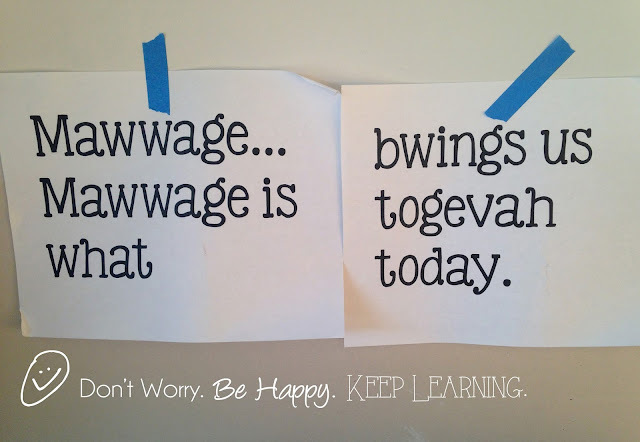 First, I printed out the phrase as a guide for painting the text. 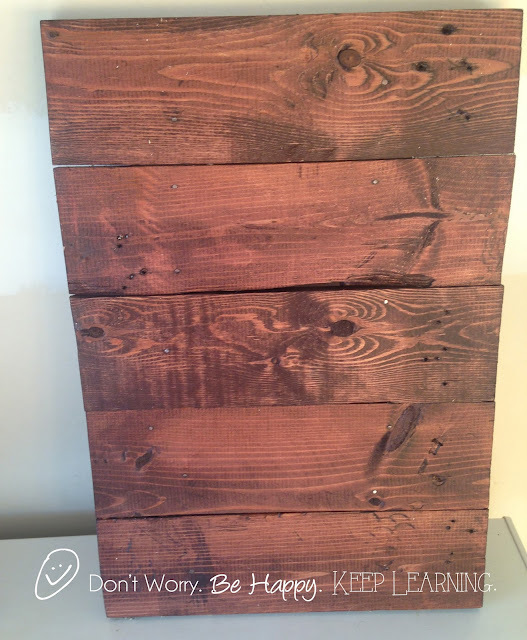 I constructed scrap pieces of wood and stained them dark java. Then I taped off the lines so they were straight and began hand painting the words, constantly referencing the print outs taped to the wall. 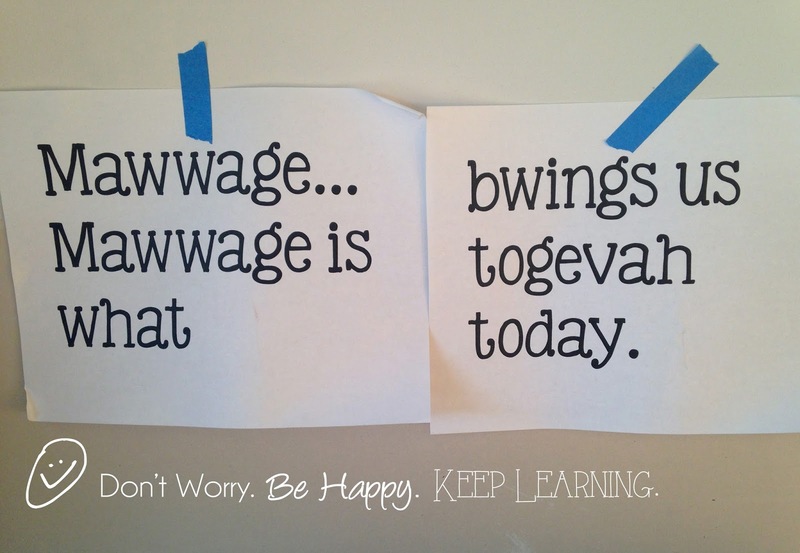 I finished the letters that went below the tape after removing the tape. I also added a little heart with their initials for a special touch. I love how it turned out! And my friend loved it, too. Happy Mawwage, Tracy and Kevin! 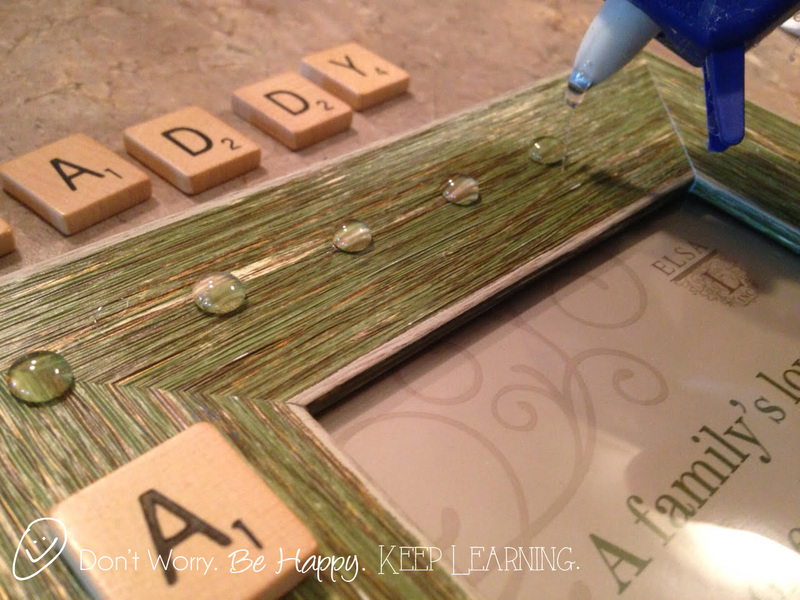 at 11:30 AM 1 Comments Topics: Blog., Crafts., DIY.